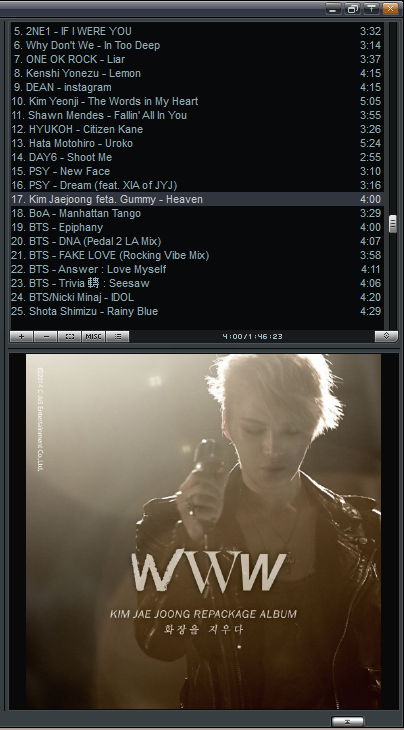 I don’t give 10/10 because I also get bored with some tracks^^hihi sorry for so straightforward. Anyway, the track “Crazy In Love” is my favourite track. Yeah.. like how the ballad always got me crazy. I really love Jisun’s voice, sometimes feel like J and really soft. The opening song (maybe the first track), I love the acapella part when it start. Love it so much. And the other great ballad “K.Will – Love is punishment”. Oh My God, the song make me fall for K.Will’s voice. Like he always did, his high pitchflow well on my brain.